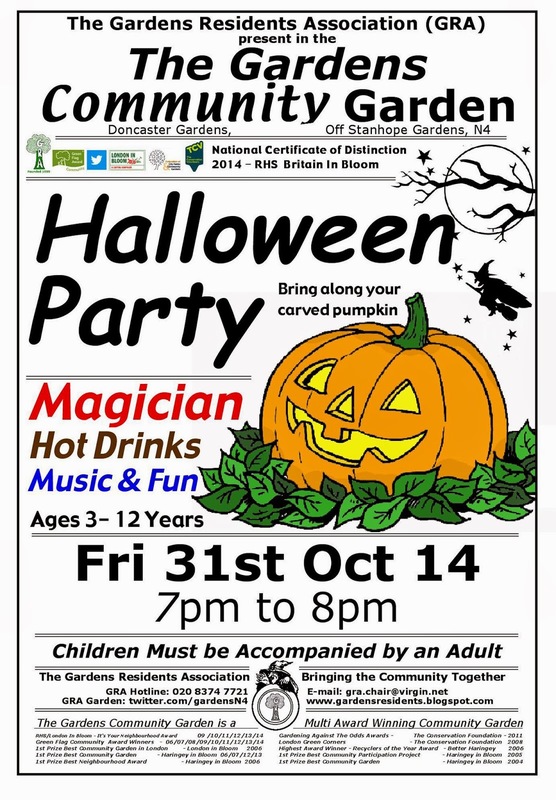 Please help to raise objections against a proposed phone mast installation on Stanhope Gardesns. Either use the letter below, or personalize it as you wish, and ensure that you respond to the appeal by 3rd September at the latest. You can either respond electronically or by letter. I am against the appeal proposals. I agree with the reason for refusal that due to the size and scale of the equipment it would have an adverse effect on local residents and the area. · The mast and five cabinets would result in excessive street clutter and obstruction in an unsuitable location. I support the significant number of original objection responses to the local authority which I hope you will also take into account. These include detailed objections which set out how the proposals are contrary to local plan policies, the NPPF and operators code of conduct and guidance. · Relocation at the land at St Annes Hospital which is over 10 hectares in area and could accommodate such equipment in a significantly less obtrusive manner. · Evidence that other owners have been actively engaged in a dialogue to relocate the equipment. Further evidence of correspondence with owners/occupiers and any follow up actions is required. · The railway lands are ignored due to lack of access. Network Rail carries out regular works and have previously created a temporary access from Stanhope Gardens and have only just carried out major works to the railway involving diggers and laying new drainage infrastructure where access was obtained via the St Anne’s site. · That other options were discounted due to proximity to low rise residential properties and inadequate footway widths; exactly the same circumstances in this proposal. · For example the appellants say (5.4): “It was recognised from the outset that the majority of roads in the area are purely residential in character, presenting no appropriate stretches of adopted highway controlled land to site a streetworks style installation. Indeed in trying to identify possible adopted highway land opportunities to site a ground based installation, it became apparent to the appellant, that the majority of the target area was unsuitable given its residential layout and built character.” Stanhope Gardens is part of that residential character that is rightly discounted. Vodaphone’s agents say that the location is a “wide section of pavement”. · The pavement is too narrow and the equipment would cause obstruction. The appellant and highways authority pay little attention to the width of the pavement and the impact of the proposal. It is only about 2.3m wide. One of the five cabinets is 800mm deep and will reduce pavement width to only about 1.5m including the kerb. A light column at the front edge of pavement next to the installation effectively reduces the pavement width to a gap of approximately 0.8m when walking along the street. · The extent of pavement covered by the mast and cabinets is excessive in this location and this amount of equipment will add to clutter and cause obstruction to accessible pedestrian movement. · The Council are currently dealing with planning applications at St Anne’s Hospital for up to 463 residential units (Ref: HGY/2014/1691) and are promoting redevelopment through its Site Allocations plan. A new pedestrian access is being promoted through the car park of the neighbouring block of flats directly onto this section of Stanhope Gardens. This proposal will seriously impact on the pedestrian links from this very significant development to public transport and shops. · The mast would be clearly visible and prominent in the middle of views along Stanhope Gardens far in excess of the height of other features .The 15m mast will dominate the streetscene and views even more in the seasons when trees are not in leaf. Network rail are also due to cut back vegetation in the near future. · The light columns (shown at 6m in the submitted drawings) are significantly lower than a 15m mast in this specific location, not the “notable vertical features” as claimed. I would ask you to address the genuine perceptions and fears that such equipment could pose a health risk particularly in such close proximity to housing including my home..
Also, the Planning Inspectorate’s guidance states that after you accepted the appeal as valid, the LPA should notify any person who was notified or consulted about the application and any other person who made representations about the application that the appeal has been made. You should be aware that it appears all original consultees and objectors do not appear to have been notified of the submission of this appeal and that despite the LPA extending the deadline to make comments we would like to draw to your attention this issue to consider whether the views of interested parties will have been prejudiced. It has taken the work of the residents association to identify a failing in this respect and put up site notices about the appeal. This is particularly important as some people may have had limited notification and time to respond in the summer holiday period. Taking into account the above and other objections I would respectfully ask the inspector to find these proposals unacceptable and dismiss this appeal. I would like to be notified of the result. 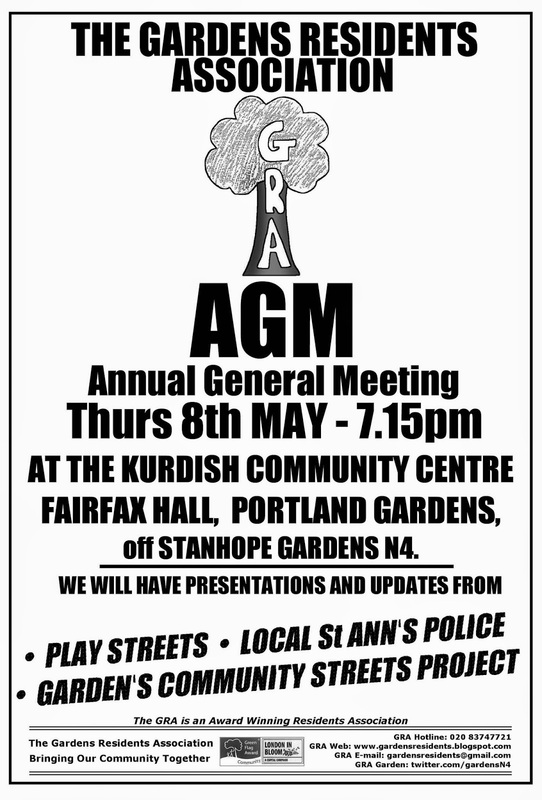 The 2014 GRA AGM will be held at the Kurdish Community Centre in Portland Gardens on Thursday 8th May at 7:15 PM.